Carry a little version of Marvel's Merc with a Mouth with you at all times! 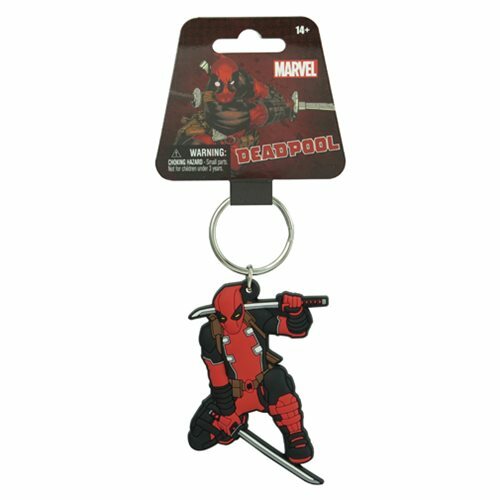 This Deadpool Classic Soft Touch Key Chain features the mercenary in a cool action pose. Perfect for your keys or bag! Ages 14 and up.